A secured and integrated universe, independent from the hardware device used, which authenticates the user, secures the internet connections and protects the data. … and whose 2nd stage provides a response to business software needs. A secured « free exchange zone » for companies and their business partners and distant employees. 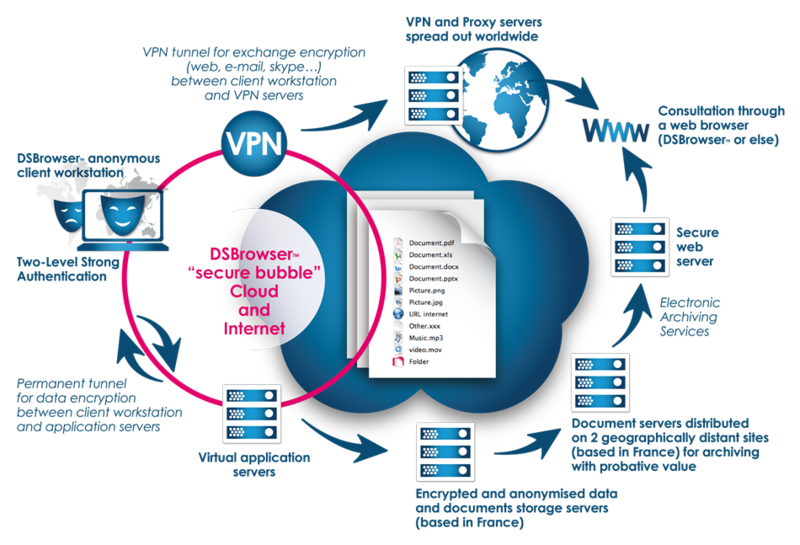 DSBrowser™ permanently provides its users with a “ secure bubble ”. A ready-to-use tailor-made tool to manage and control business processes. A solution that combines security and simplicity, to serve the extended enterprise.